A sequel that’s just as incredible if not better than the original. Like most that saw it, I became a huge fan of the Incredibles when it was released back in 2004. It was one of the most fun and action-packed animated films I’d have seen, and it’s still going strong even now. It felt like us fans would never get a sequel to this beloved film, but here we are 14 years later with Incredibles 2. The wait was worth it, as it’s just as incredible as the original and will have everyone feeling super. Our own Annette Palmer reviewed the theatrical release of this one, so feel free to check out her review for all of the plot details and more as I go into my take on this Blu-ray release and the special features. I already knew I was going to love this movie going in, and I’m glad it confirmed those feelings as it felt like it didn’t miss a beat from the previous entry to this one. It was as though 14 years hadn’t passed at all, even still you can tell it did as the artwork and animation has some pretty cool upgrades this time around. I had a great time watching Bob trying to hold down the fort that’s highly reminiscent of the Michael Keaton classic Mr.Mom, as he tries and mostly fails at keeping the house and kids in check. This is made even funnier with the baby Jack-Jack going through some superpowered changes that places everyone around him in danger, though in often comedic ways. Then there’s Jack-Jack taking on a raccoon that’s so well done and fun, it could easily be another film all on its own. The movie looks incredible on Blu-ray (yup, pun intended) as every high definition detail comes through nicely, from the awesome visuals to the amazing audio that come together perfectly to pull you into the adventure and keep you there. There’s also quite a bit of special features to sort through once the film ends that will keep you busy. Probably the most fun and anticipated is the “Auntie Edna” mini-movie made just for the home release that has Edna Mode burning the midnight oil trying to make a super suit to compliment Jack-Jack’s ever changing powers. I also enjoyed the theatrical short “Bao” that features an old and lonely Chinese woman that receives a magical surprise when one of her dumplings comes to life. There’s also a making of feature with director Domee Shi as she discusses how she came up with the short. There’s also a ton of behind the scenes extras featuring director Brad Bird and his career at Pixar, how the artwork and look of the movie came to be, a look at both the heroes and villains of the film, a piece on the awesome people at Pixar that made this film and others come to vivid life, Character Theme Songs, Vintage Toy Commercial TV Spots, a Toolkit Montage and more. 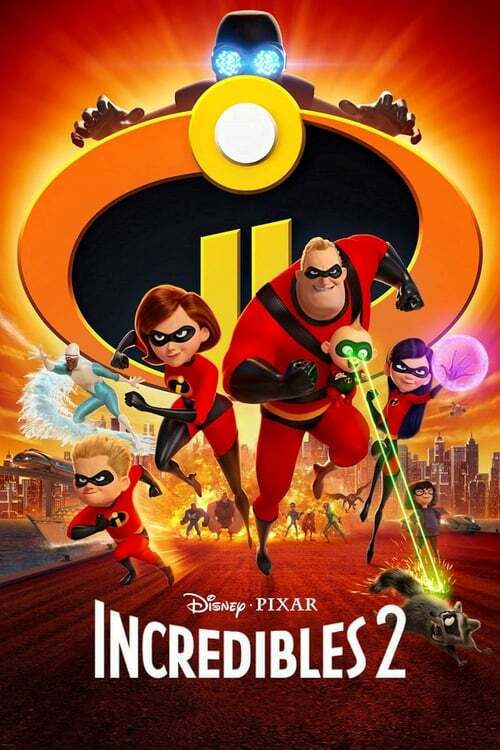 If you’re looking for something incredible for the family to watch (ok, last pun I promise), you’ll want to don your super suit and zoom over to pick up a copy of Incredibles 2. The amazing cast and characters are back and better than ever while being joined by a few new ones that are just as fun. Add in some awesome special features and you have one of the best, superpowered home releases you can own.